Posted April 18, 2016 by Staff God's Miracle Church & filed under Kamron's Corner. Yesterday, I was driving home from work and turned on the radio. Needing some inspiration I scanned through the stations, stopping on the gospel station. A young woman had written the station saying that she needed some help on a decision she wanted to make. The young woman started college and wanted to join a sorority( the name of such club was not disclosed) but she had heard from one of her close friends that Christians ” don’t join fraternities or sororities.” She was not that strong in the faith and wanted the advice of the Christian community on the decision. The radio station went to break after they asked the question as they usually do and I didn’t think anymore of the question. Surely, they will point this young girl in the right direction. Thank God she had the sense to ask. They even played some pretty good music on the break ( anyone who knows me knows I’m not into the “new gospel station”).The dj returned and the question was recited again. To my dismay, the dj himself and the people who called in had nothing but good things to say. No kind of spiritual discernment, no scripture, just a carnal, earthly point of view. They said things like “clubs are great for meeting people and can even help you with employment down the road”. All the time I’m thinking about the secret rituals and handshakes they do, the hazing, and all the other horrible things (we all know what those are) they do to the young women that just want that approval. I couldn’t listen for long before I became very frustrated, almost pushing the button off on the radio hurting my finger. I’m usually not shocked at the total disregard of the principles of Gods word in the church but this was different. This young woman was innocent in Christ and wanted a clear, straight forward path. Sadly, the people who are supposed to know the statutes of God haven’t had there senses trained to discern between good and evil. 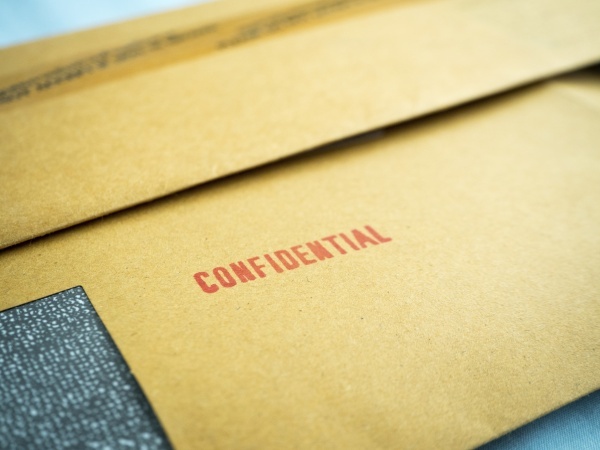 One of the major staples in these organizations is secrecy. When you pledge or say your oaths in the ritual they have you do when you have performed , you are to promise on your life never to give any information to anyone about the club. When that woman called into the show she was not even able to disclose the name of the sorority. Now lets say that doesn’t put up a red flag in your mind. 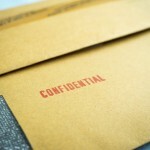 What does Gods word say about secrecy? For one the bible says there is nothing that is done in secret that shall not come to light. We hear in the news almost everyday of the fowl play in these clubs. As Christians we should seek to be transparent, walking in truth and honesty among all men just as our savior walked. When Jesus was being questioned before the counsel to be convicted, he was asked by the governor about his message. Jesus basically said to Pilate that he wasn’t going to tell him anything because he could ask anyone of his accusers because his life and ministry was not a secret. His life was not even secret to his enemies. As Christians we are described by Jesus to be light. We have the light of Christ in us. Its hard to keep a secret when we live in the light of Gods word. The very word “secret” or “myster’ion” in Greek (which is the only Greek word I know) involves darkness or something that has not been revealed clearly or fully. God is the only one in heaven and Earth allowed to have secrets. My favorite scripture is Deuteronomy 29:29 “The LORD our God has secrets known to no one. We are not accountable for them, but we and our children are accountable forever for all that he has revealed to us, so that we may obey all the terms of these instructions”. Well that settles the issue. The word should always settle the issue. All things are naked and open to Gods eyes, to whom our speech is. Nothing is hidden to God because he dwells in the truth. Ever since the garden of Eden man has been trying to hide things; even himself. Saints we have got to be more aware about the age we live in. The scripture says in James 5 :12 “Above all, my brothers and sisters, do not swear–not by heaven or by earth or by anything else. All you need to say is a simple “Yes” or “No.” Otherwise you will be condemned”. Turn to it and read it . I’m not making this up. We are not to swear, pledge, or make any oaths to anyone or any organization. The dj said ” its not like we were in the club devil worshipping.” Saints we are right in the book. The blind are leading the blind into the ditch. If I just gave you those scriptures, you could make an informed decision on how God sees these cults but I’m not done yet . In this last and evil day, the church believes she can do what the world does with a Christian “zing” to it. Not so. We have to throw out the baby with the bath water. God told Cain ” If you do right then you will be accepted.” We have to be separate and distinguished ; a peculiar people.